He woke up groggily, still half-asleep, and looked around. He recognised the room but was less sure about who the two women each side of him were. Sitting up in the ruffled sheets, he realised that he was supposed to be somewhere – but where? Merda! He had a game. Giuseppe Meazza, the rogue prince of Milan, was as hot between the sheets as he was on the field of play. Miraculously, he made the team bus just on time. “Luckily I lived near the stadium”. Dishevelled, but ready to play, he walked onto the pitch engulfed by roaring fans and left as the hat-trick hero. This is one of many such anecdotes about the Marlon Brando-esque goal-scoring machine. His masculinity oozed into his rough performances, impressive for his slight build, and proved irresistible to the female contingents of the northern capital. It’s the life many of us would dream of. In the UK we might gossip about such salacious matters as they adorn the front pages whilst his latest brace simultaneously made the back-page. In Italy, though, they decided to name a stadium after him. San Siro or the Giuseppe Meazza? What exactly do you have to do to get a football stadium named after you though? Johan Cruyff recently had his name bestowed onto Ajax’s ground after excelling in the Netherland’s Totaalvoetbal system, while the Estadio Diego Armando Maradona in Argentina is named after … well, you know. For his exploits, we’d need a book. Let’s just say that it would read more like Meazza than Cruyff’s. What about Giuseppe Meazza though? 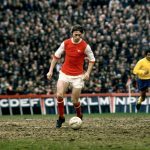 The player was known as a late-night reveller, a rough-cut cookie and a man deeply loyal to his city and both of its clubs – first Inter and later Milan. The stadium? You might know it better as the San Siro. The reason it bears his name? A bag full of league records and two World Cups. It’s a common misconception. San Siro is the district that houses the world-famous stadium, not the ground itself. It’s not just any stadium either, it’s the epitome of European football. An iconic marvel of stadium architecture, the ground was built specifically for football, minus the athletics tracks that usually enclosed the pitches of other Italian stadia. Meazza might be the least well-known player to give his name to such a stadium. Opening its gates in 1926, when Meazza was only 16, the young player, who had already been capturing scouts’ attention, had no idea that the symbol of Italian football would one day bear his name. After being rejected by Milan, the team he idolised, Meazza signed for crosstown rivals Inter and made his debut for the club in 1927. Naturally, a man with such preoccupations that he sought to find, Meazza was attracted to the late-night bars and discotheques of Milan. Here he was able to show off his notoriously gifted talents as a dancefloor killer. The tango was a personal favourite of the smooth-as-silk boy who drew admiring glances of crowds wherever he went. Luckily his shuffling under the disco ball wasn’t all in vain. His nimble footwork, honed in the dim smoky rooms, translated well onto the pitch. Every snaking gyration of the hip was as applicable to the brunette he’d had his eye on all night as it was to the opposition defence. Goals that were typical of Meazza often began near the halfway line and ended with him wheeling away in celebration. Italian newspaper La Gazzetta dello Sport praised his debut as “intelligent, fresh, quick” and, lacking the physicality that would normally have been required, these were traits that he continued to develop throughout his career. The emergence of genius is something you feel, not just something you see. Sure, it’s what your eyes witness that provokes your reaction, but it’s the unseen aspects of the game – the imminent awakening of a future club hero – that is capable of sending chills down our spines. It seems that Meazza’s gift never went overlooked. Season one: record one. He finished the league with 31 goals and the still-standing record for the most goals scored in a debut Serie A season. Clearly a star for the Nerrazzuri, he clocked games with five and even six goals as he helped the side to the Scudetto in 1930 alongside finishing as the Capocannoniere. His success with the blue and black side of Milan continued. He lifted two more titles in 1938 – once again finishing as top-scorer – and in 1940. In between those latter two glories, he was a raging force in Inter’s 1939 Coppa Italia-winning squad. Beyond his obvious brilliance, he was unsurprisingly self-assured of his own capabilities. If all the other possible vices hadn’t been accounted for, he also had enough time to flirt with gambling. 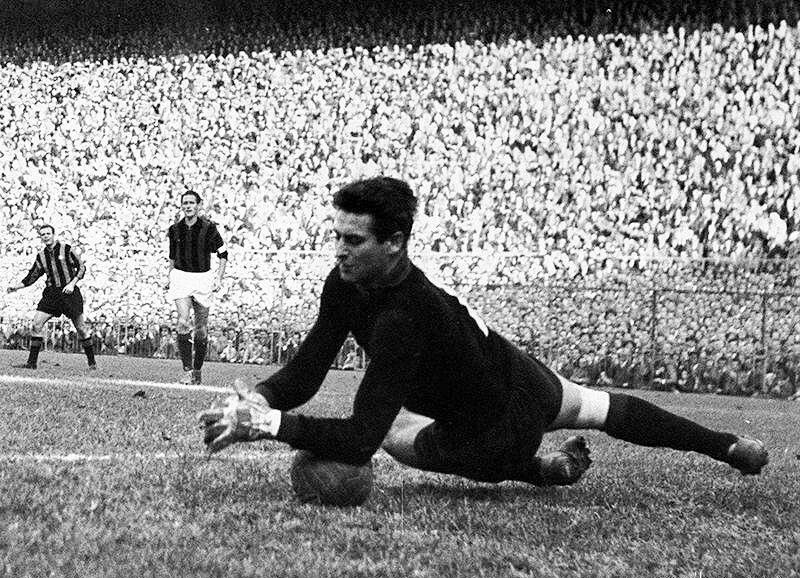 Leading up to a match against Juventus, their goalkeeper, Giampiero Combi, who played alongside Meazza for the Azzurri, placed a wager that the striker would be unable to score either an overhead kick, similar to one he had managed during training, or one of his trademark goals of skipping beyond the outstretched ‘keeper and tucking the ball in from close range. Two goals, of a very particular calibre, were required from the player. He took the bet, unbeknownst to anyone else watching. Did he manage one of them? Yes. What about both? Obviously. 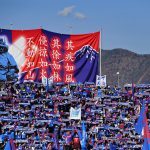 The best part might have been the bewildered looks on fans and players faces when Combi incredulously shook the striker’s hand during the game. He, too, was in Meazza’s orbit. In 1940, Meazza moved to AC Milan after struggling with injuries in his final two seasons with his boyhood team. Those years were unquestionably his most illustrious and are virtually unrivalled in calcio to this day. It wasn’t just with Inter that he was banging in the goals; he had also managed to become a national hero. Italy hosted the 1934 World Cup and left as victors after a hard-fought final featuring two late goals that beat Czechoslovakia. 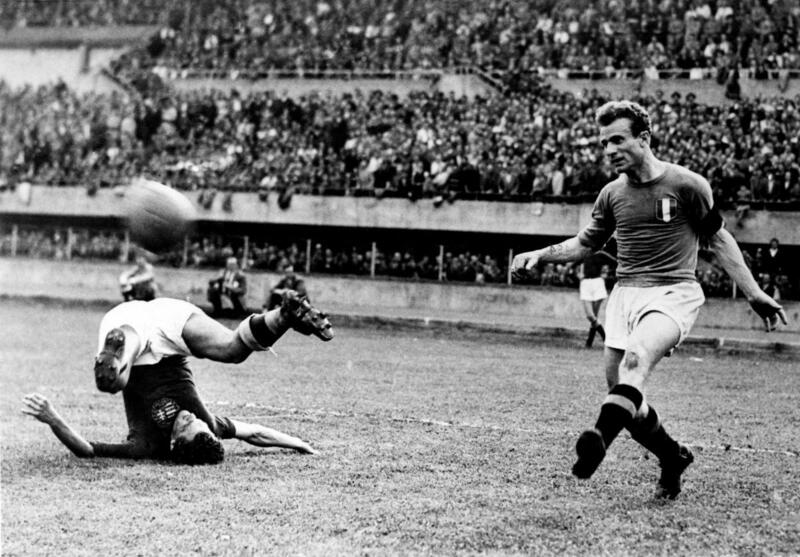 Meazza, starring in all of their matches, lifted the Golden Ball for the tournament’s best player. It was a controversial competition with claims mounting that Benito Mussolini had used it as a propaganda tool for his fascist regime, hand-picking referees for all of the host’s games. Luckily, the squad were able to replicate their success in 1938 in France. His two goals in 1934 surprisingly topped his single goal in the 1938 finals. The Italian squad had a very different dynamic to Inter, though, and Meazza had the honour of captaining them to lift their second World Cup trophy. Despite managing to find the back of the net only once, he was instrumental as both captain and player. In the tournament final he assisted three goals in a 4-2 victory over Hungary. It was the pinnacle of his international career. A year later, he played his final international game, captaining the team against Finland in a 3-2 win. 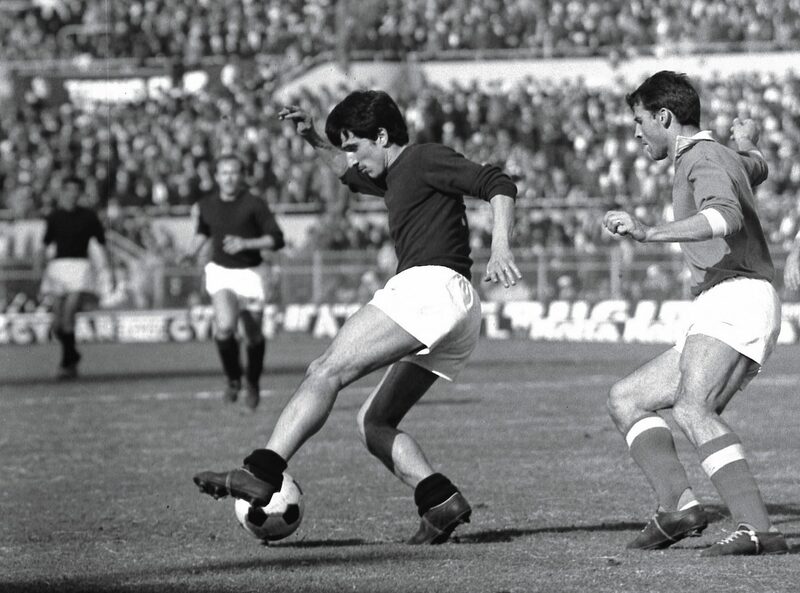 Over the 53 games that he represented Italy, he scored 33 goals, the second-highest tally behind Cagliari legend Gigi Riva. Life at Milan was relatively short-lived. Two years at the club was enough for him to be prompted to move on to the other giants of the north, Juventus, before brief spells at Varese and Atalanta lined the pathway for a return to his original club. Back at Inter, he managed 17 more appearances and netted twice. He would later manage the Nerazzurri on three separate occasions, answering the call whenever there was a need. It was for this, and his impact on the wider club by staying close to the action, that he would remain revered after hanging up his boots. By the age of 23, Meazza had already clocked up his first hundred goals in Serie A, the youngest player to do so. Combine that with his rakish predisposition and natural good looks, it was inevitable that his fame would breach the jagged shores of his homeland. With personal sponsors, another first, being attracted to the devilishly charming Meazza, it seemed like he could do no wrong. The only player on the team permitted to smoke, Peppino Meazza’s well-preened face and slicked-back hair appeared in print all around the world. He was, in many ways, the poster boy for the first post-war generation. He was a symbol for a nation rebuilding. His transcendent appeal draws comparisons to Pelé, a player Meazza was somewhat of a prototype for. His meandering grace and guile won approving comments from esteemed journalists and public intellectuals like Gianni Brera and Luigi Veronalli. It was a romantic time for the sport and he elicited only the most love-struck outcries of affection. He still does. So how does a player manage to get his name on such a marvellous ground? It seems, in many ways, to defy reason. It’s a shared ground between two footballing behemoths and, although he represented both of them, he was an Inter legend through and through. Besides that, his reputation as a womanising party-boy lived alongside his reputation as a footballing great. Meazza is regarded by many Italians on either side of the Milan divide as the country’s greatest goalscorer. From his debut at Inter, he impressed fans and journalists alike, a rare feat in Italy where the critics were almost as influential as the managers. No one was immune to his spell. Brera ranked him as the greatest of all time. This, coming from a man with unparalleled knowledge of the Italian game, is not to be flouted. There’s little else to be said. Giuseppe Meazza was an icon, both in Italy and beyond. He was a player as loved by the men in the crowd as the women. He’s a rare shooting star of which there are too few in football’s ever lightening sky. That’s why he has a stadium named after him.